Last week I made my decision on the project I was going to begin. I also knew I needed to work on the timeline first. My beta agreed to be my timekeeper and push me towards my goals. I agreed on two weeks to work on the timeline then to begin the rewrite that would be my last before she got it. I decided to get it to her by April. Man do I have the work to do. My homework for yesterday was to have her my tentative schedule and daily plans by today. I kept it simple. 30 minutes to wake up, get my first cup of coffee in me, and sort my emails tending to anything pressing. after that writing first. at least two hours and no less than 2 chapters a day. I am reading through, making notes and especially checking for timeline issues. Monday was a bust. I got up an hour late feeling awful. My allergies are doing me in. Hubby got up working on budgets and kept calling me in. then we had the budget meeting and I had to sort some medications and make Dr. appointments for us. When I got back online I was told my Tuesday blog had posted, so I went to see why. 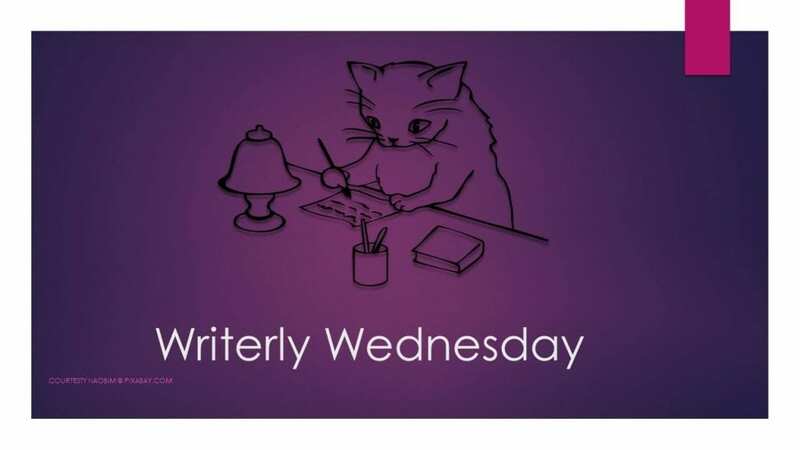 While there I decided to work on my Wednesday blog. I decided to make a header. That header led to 6 more. ( hey in my defense now I have all my blog headers done for my blogging.) I was showing her the shinies and she asked me if she was supposed to support me in all things writing, she did understand the importance or push the story first. I said story first. She was a doll yet politely pointed out in the time I had made the pretties I could have done my chapter work. She was right. I did have these on the schedule for the weekend on my blog work days but I was off schedule. Now back to the subject of Schedules. They are awesome tools if you use them. But what is the point of having everything lined up then jumping around like a frog on a hot sidewalk. I use to have a very detailed calendar and write things down by the half hour. it was so overwhelming and upset me so much if I couldn’t do it that it did more harm than good. I found that less is more. I put the three most important things.. 2 chapters, reviews/blog, email/ social media Instead of giving them timeframes I simply write that. I have about 6 hours I dedicate to my computer/ writing. I will do my two chapters ( and any makeup if needed), then down the line. I drew a line under those three and put Housework/craft. This is not daily chores as I work those in the morning. I can only sit about 30 minutes to an hour then need to move. I have chronic back injury. So I work my first sprint with my girls, get up and sweep or do a small chore, rinse and repeat. The afternoon house is decluttering I am trying to do I have a list of chores I would like to get done this year, so i will tackle in small bites. I think I will alternate. Do a chore one day some crafting the next. This way neither will be so overwhelming to me. I also switched to one schedule. last year I had it on my computer on a large desk calendar and in a day planner. The only one I really used was the day planner so I eliminated the other two this year. This week is my first on my new scheduling and I will keep you up to date if this works. Scheduling is a personal thing for everyone. What works for me won’t work for everyone. Do you have a tried and true schedule that works for you? Do you use a calendar or computer or a fancy Bullet journal? Wow, your drill sergeant of a beta sounds like a real pain. 😉 Haha, it’s all in friendship, good fun, and helping each other out, I know. Now, back to work. Drop and give me another chapter. Bahaha. I’ll always be here to help you out, Cat. That is what friends are for. I also had another idea that might help you. I’ll message you and we’ll chat.